Integrated behavioral health services have positive outcomes for patients and providers, but little is known about providers’ perspectives on implementing these services. 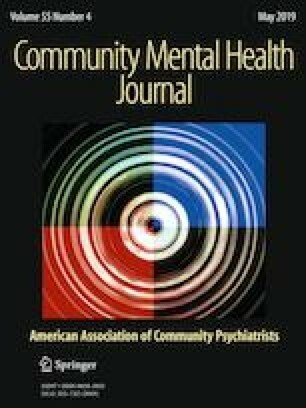 This community-based participatory research collaboration with a Federally Qualified Health Center examined provider perspectives on implementing a collaborative psychiatry consultation program in pediatric primary care. We interviewed providers (N = 14) from psychiatry, social work, primary care, and psychology regarding their experiences implementing the program, and their recommendations for its sustainability. Providers described interdisciplinary integration arising from the program, with accompanying benefits (e.g., increased access to care for patients with complex diagnostic profiles, increased learning and role satisfaction among providers), and challenges (e.g., increased burden on primary care providers, potential patient discomfort with team-based care). Our results highlight the complexities of implementing collaborative psychiatry consultation in pediatric primary care, and suggest the importance of supporting primary care providers and patients within this context. This research was supported by funding from St. Luke’s Episcopal Health Charities (now known as Episcopal Health Charities). We gratefully acknowledge the community providers and stakeholders who participated. This study was approved by the Institutional Review Board at the University of Texas at Austin. All participants provided informed consent per the approved IRB protocol for the study.